This is a letter from J.W. Honey to George W. Martin, Secretary of the Kansas State Historical Society. 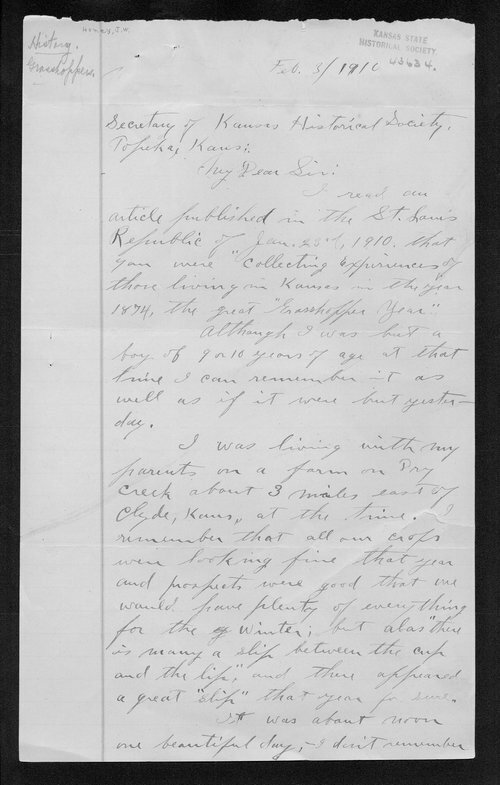 Honey writes of his experiences during the grasshopper invasion of 1874, focusing mostly on bringing corn in from the field before it was fully consumed by the insects.